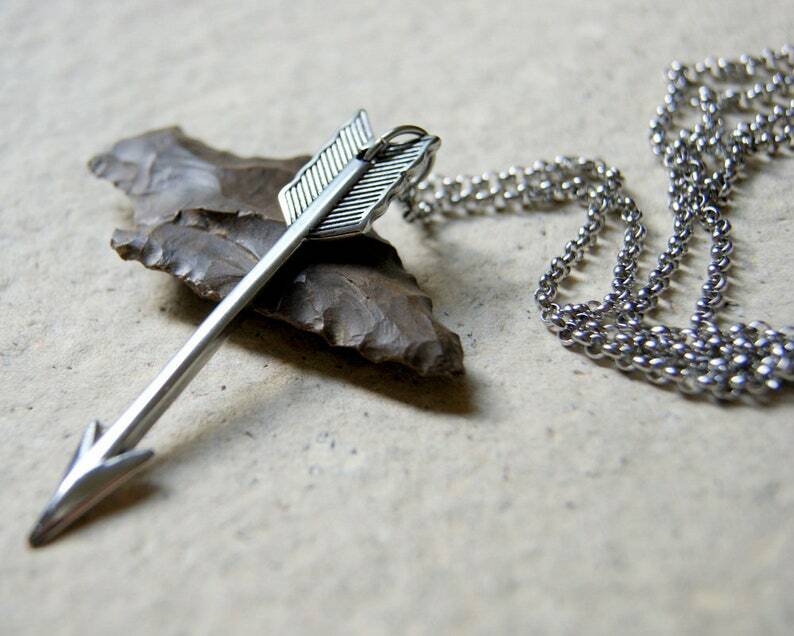 My signature arrow necklace now comes in stainless steel. The rolo chain, jump rings and lobster clasp are also stainless steel. The arrow pendant measures 3" long. Perfect for layering or wearing alone. Choose length at checkout: 22". 24". 26". 28".